Laparoscopic surgery is generally less time consuming than traditional surgery, making the entire process more convenient for the patient. Laparoscopic surgery involves the use of a small, telescope-like instrument called a laparoscope and several tiny instruments to examine the interior of the abdominal and pelvic areas. The surgeon makes several small incisions up to a half inch in length at the site of the surgery. The surgeon then inserts specially designed plastic tubes (called ports), through which the laparoscope and surgical instruments are introduced. The laparoscope transmits live video images of the patient's organs to a high definition monitor, which allows the surgeon to successfully operate without the use of large incisions. 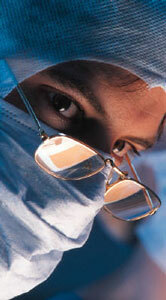 The laparoscope acts as the surgeon's "eyes" during the entire surgery. Laparoscopic surgery belongs to the field of endoscopy, which uses minimally invasive techniques to look inside the human body.